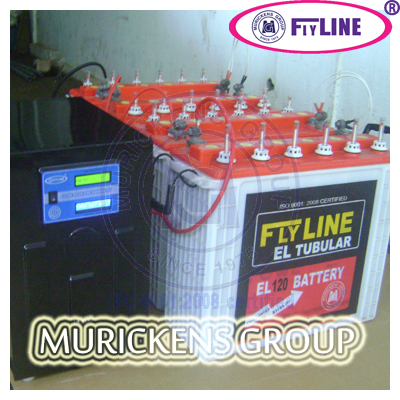 Muricken's Group is reckoned as one of the well reputed Fly line Solar UPS system in Kerala. The products manufactured with superior quality imported spare parts so as to assure our customers authenticity and reliability. Use solar uninterrupted power supply to save money. ► Pure sine wave system can use as ups for computer ► Maintenance Free. ► Attractive Designs. ► No electricity bill to pay. ► Single Switch Operation. ► Fully automatic.► DSP based very low component cost design. ► Single sided PCB, easy to assemble without any smd components. ► Auto resetting. ► Protection from lightening, High/Low Voltage Trip. ► Over Load Protection. ► Over Charge and Deep Discharge cut off. ► Independent Digital display for charging voltage, main voltage, inverter voltage, load etc. ► Provision for connecting KSEB current and solar power. ► Audio and Visual Indicators. ► Can connect to the existing wiring. ► Bridge type center aligned switching MOSFET based topology. ► Settable SMPS intelligent charging system. ► No husking sound.